Living in Japan is great. It feels like a totally different world, but at the same time I automatically understand and reinterpret the things happening around me, because I have been studying about this country and its culture for years. Adapting has been easier than I thought, and after six months I can safely say that I feel at home here in Kobe, rather than feeling like a tourist or an ignorant foreigner. Some days things do not go as smoothly as I would wish, I stutter or fail to make myself clear, I realize too late I have done something very non-Japanese or I make a stupid remark in class. But I guess these struggles are familiar to every exchange student. At the same time, being a foreigner gives you some space to be “different”, to do things your own way and claim “oh, but that is a Belgian thing”. 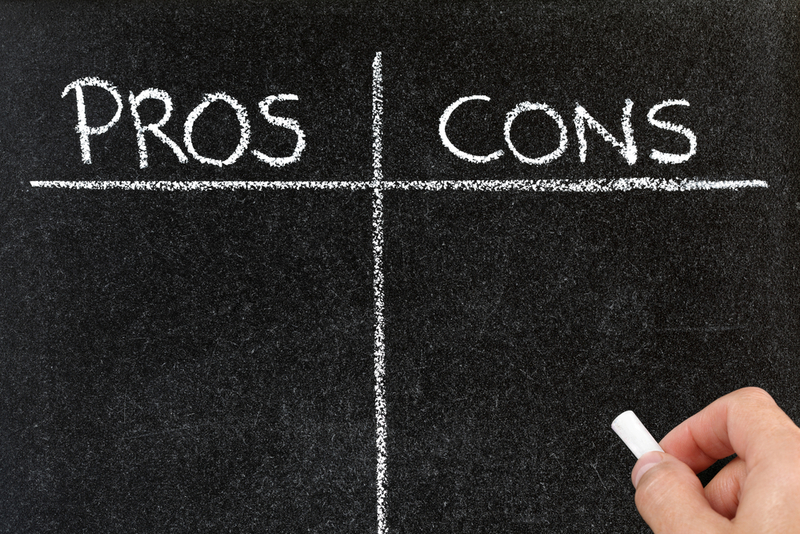 To make up for not having posted in a while on this blog, here is my non-extensive list of pros and cons in Japan. queuing at the bus stop. When being asked to describe the Japanese, many people will give you the answer that “they are so polite“. 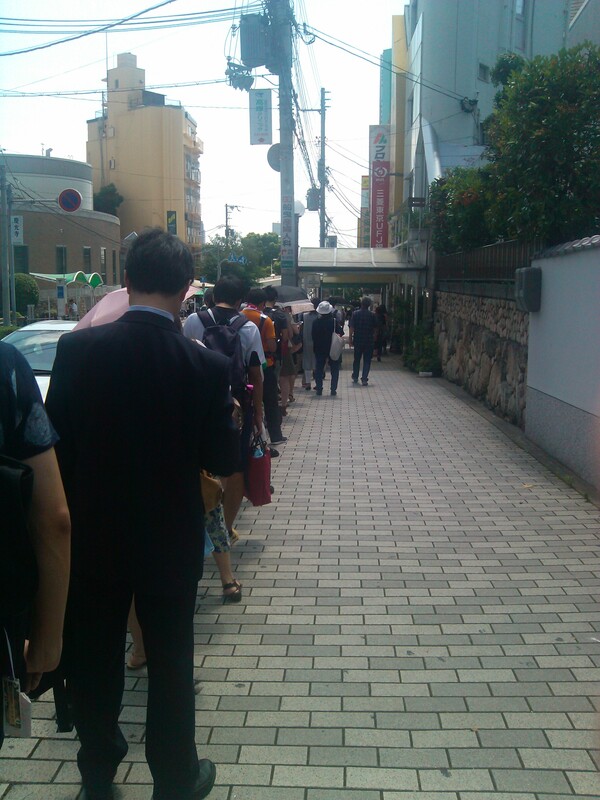 They queue up wherever they can, apologize very easily, treat strangers with respect and use keigo (polite speech). As a customer, service in Japan is great. You get the feeling the staff is really delighted with your visit to their store. You notice the downside, however, when you look closely: the forced smiles, the somewhat insincere “irrashaimase!” (welcome! ), and the staff continuously shouting “thank you for your visit and please feel free to look around” without even looking at you. For people like me, this kind of surplus service appears sometimes as a waste of energy, but it is only normal and expected in the Japanese society. 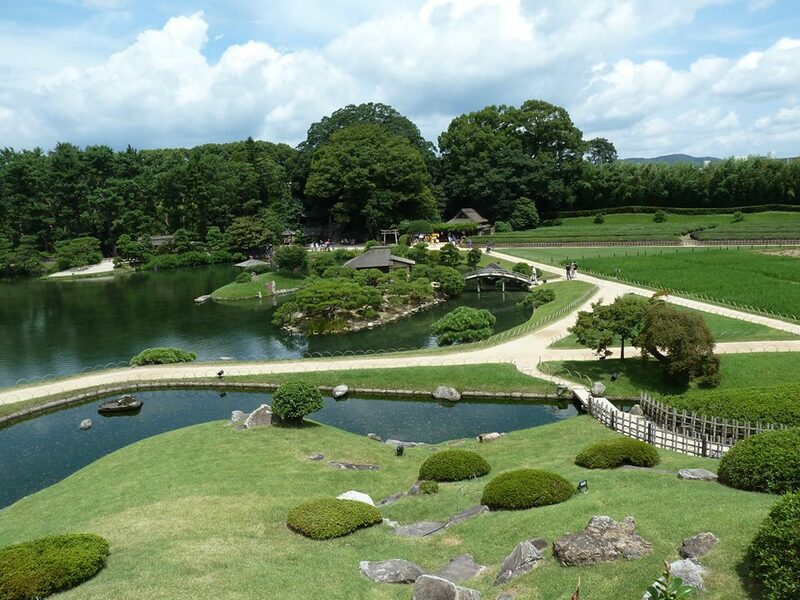 Japan is without doubt a great travel destination. This country offers fantastic nature, lots of culture and history, big cities and traditional villages, great food, all year round festivals and comfortable transport. Speaking about nature, there is one thing that I won’t be missing at all back home. 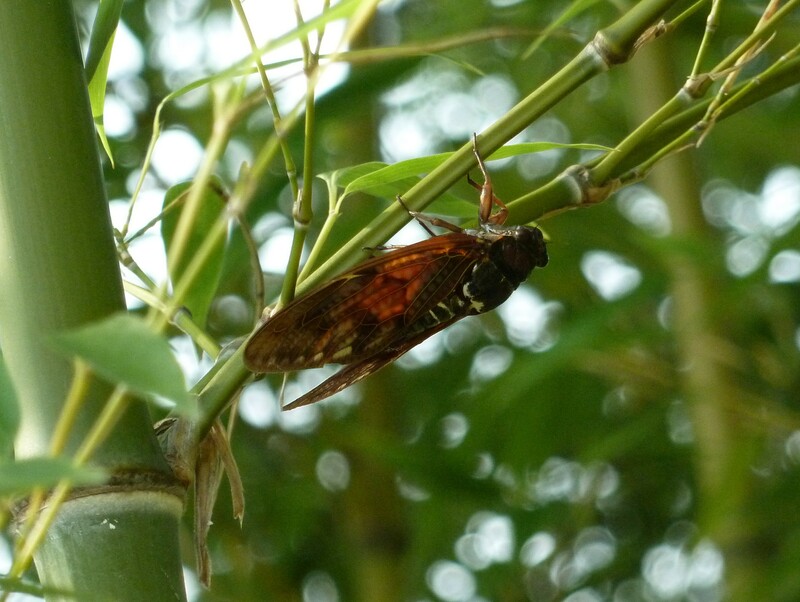 All of you who have spent the summer in Japan will know what I am talking about: cicadas. Or rather, the horrible loud sounds they make. There is a tree right next to my window full of these noise-makers and during the summer months they made sure to wake me up every morning around 5 o’clock. 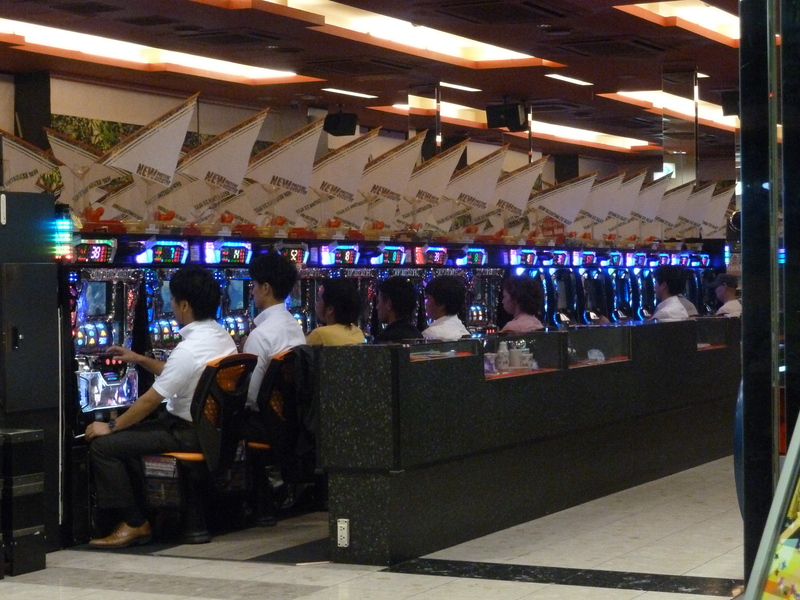 pachinko, the Japanese version of gambling. As most travelers in Japan probably have noticed Japanese people tend to stare at you. On the train, in the super market, on the streets. 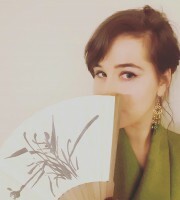 And not only on the countryside but in the big cities as well, it seems like some Japanese people have never seen a foreigner (let’s say non-Asian) in their life. Which is pretty weird because there are tons of tourists, and many TV programs and commercials nowadays star foreigners. But at the same time, the Japanese show a lot of interest in the foreign you. They want to know where you come from, what you like about Japan and what your favorite food is here (believe me, every time these things in this exact order). And then there are also the school kids, who yell “hello!” when they see you and run away giggling. 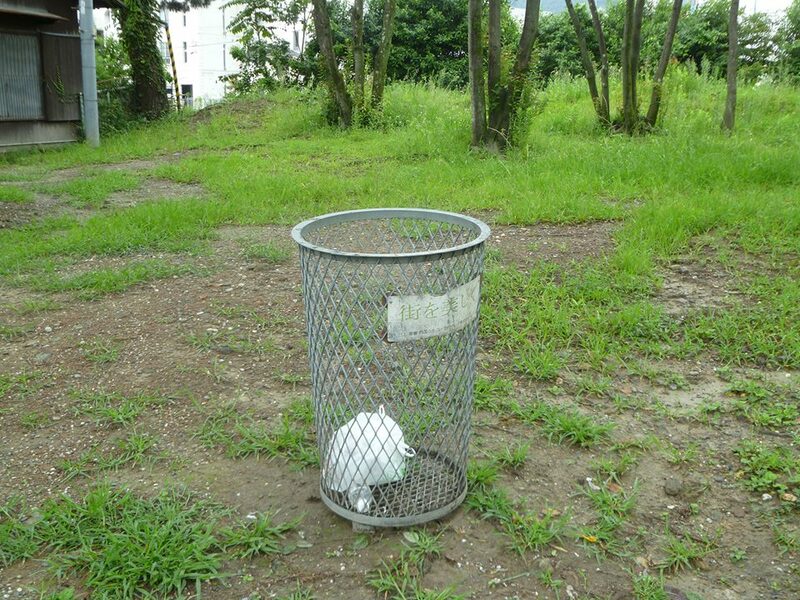 A very lonely garbage bin. Japan is very clean. Streets and buildings look spick-and-span, not sorting the garbage correctly is considered a crime and smokers have their own designated smoking spots. On the other hand, it is very frustrating that there are almost no public bins, even at train stations (apparently bins disappeared after the Aum Shinrikyo gas attack). 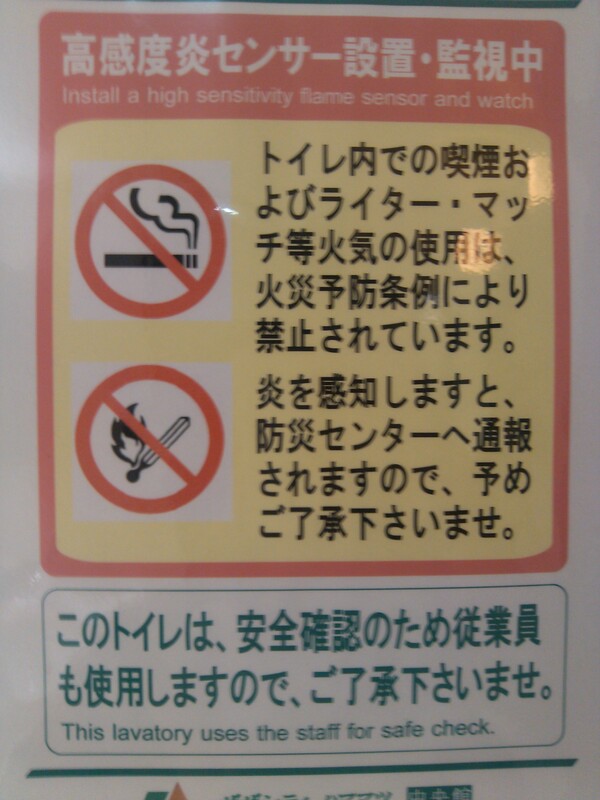 Next to that, smoking at bars and coffee shops is allowed, and I am not the biggest fan of passive smoking. 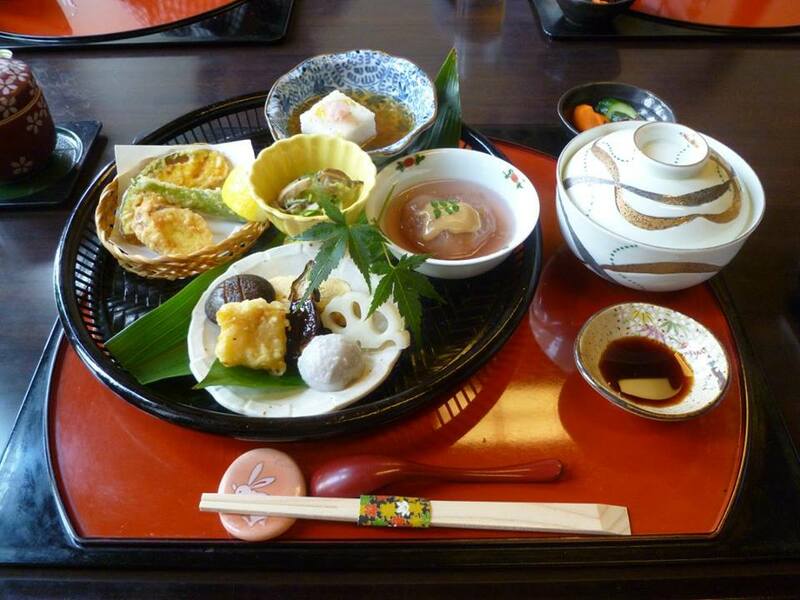 I love Japanese food, and even as a vegetarian there are plenty of dishes here to enjoy. The Japanese cuisine is known for its healthiness and varied use of ingredients. Next to that, eating out in Japan – compared to Belgian restaurants – is actually quite cheap. You always get free water, except in izakaya 居酒屋(Japanese pubs). Nevertheless, going to izakaya has somehow become my new hobby, especially because of the food (and the sake, let’s be honest). In Europe it is hard to find places where they sell lots of drinks and lots of food at the same time. Izakaya usually have an extensive menu (salads and veggies as well), although it seems that Japanese people mainly go there to drink. Another thing that I have noticed, next to the extreme fondness of Japanese people for alcohol even if they are not the strongest drinkers, is the omnipresence of meat. I imagined Japan had more of a fish culture, but yakitori (grilled chicken) specialized izakaya and so on are everywhere. Good for you if you’re a real meat lover, but as a vegetarian you have to watch out with everything they sell as a full meal: even salads in the konbini (convenience store) sometimes contain meat. 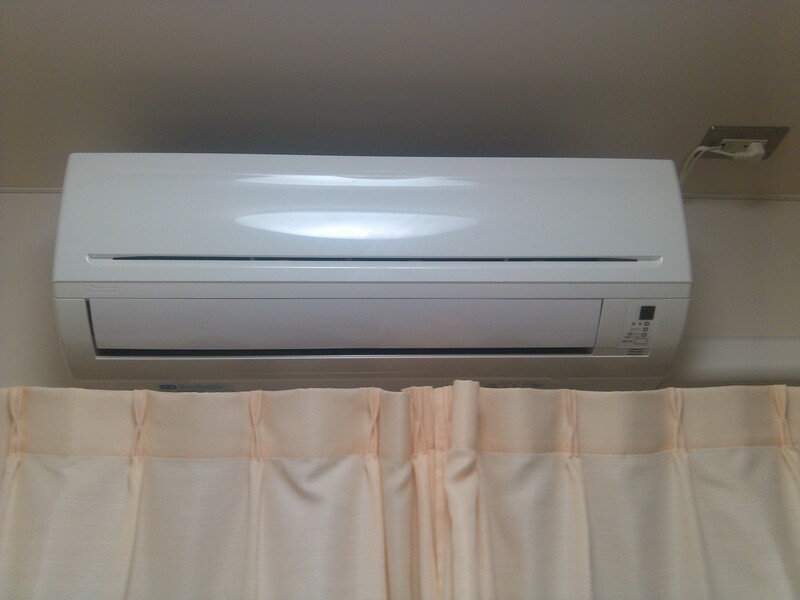 I already covered the part about Japanese comfort in this post. Read to find out how great 100 Yen shops, supermarkets, konbini and vending machines are! The (Western style) toilets are worth mentioning as well: they are everywhere, free and clean. And they come with a lot of options. Moreover, transport in Japan is well available and overall comfortable, apart from rush hours. 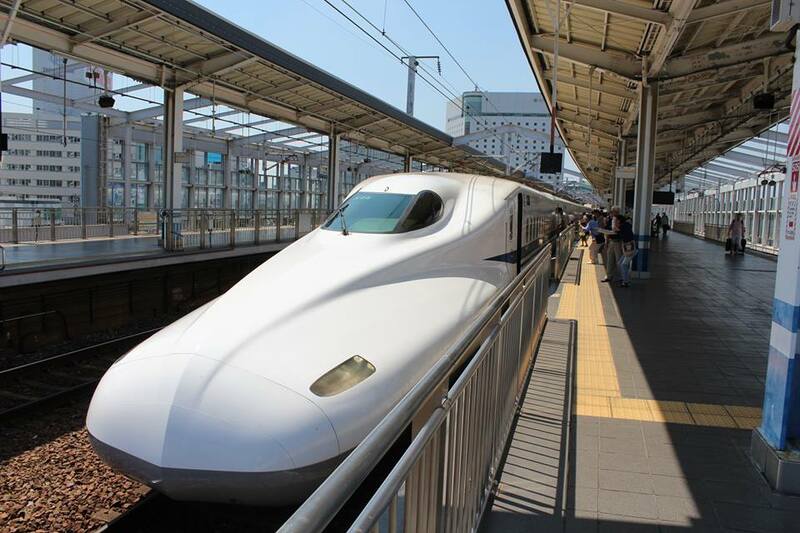 Japan’s pride, the shinkansen 新幹線, is truly one of the fastest way to travel across the island. I was surprised by the luxury of extra leg room and comfortable seats. Cyclists. They are a real danger on the road, especially because they use the same pavement pedestrians use (and the road and every other space possible) and apparently because they think that owning a bicycle means that everyone else has to jump aside when they ring their bell. A foot bath with 42°C onsen water outside Kin no Yu (“golden water bath”) in Arima, a small town near Kobe famous for its onsen. 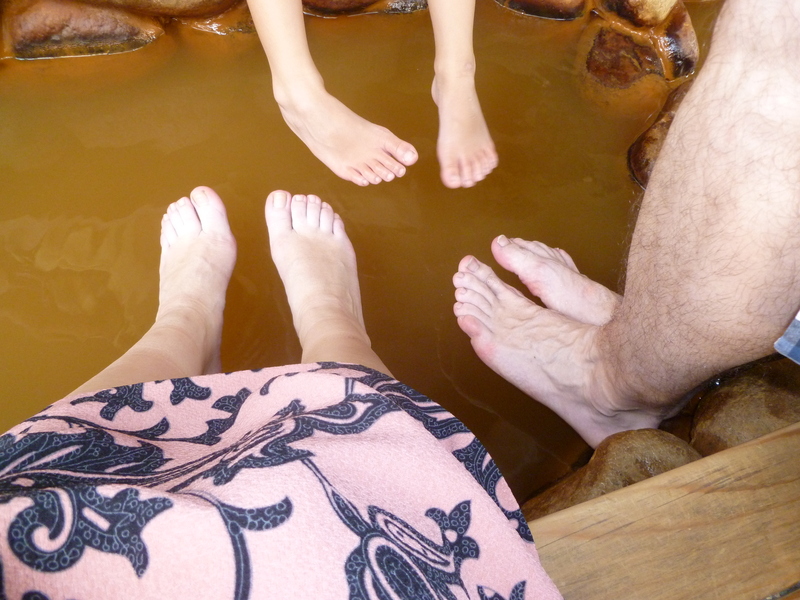 I recently went to an onsen, a hot spring, for the first time. I was afraid that being naked would be the most difficult part, but it turned out I couldn’t care less once I realized how hot the water really was. My first experience was nothing more than a painful challenge of my limits and stubbornness to stay as long as possible in the water, but I started enjoying it the times after that. Especially outdoor baths are nice and I am really looking forward to visit an onsen in winter. Nothing more relaxing than a hot bath while surrounded by a snow landscape. Too much airconditioning. Agreed, Japan is hot in summer (and in spring, compared to Belgium). But somehow the Japanese succeed in making it so cold inside you have to bring a sweater against freezing. Or at least, that is what I did the past few months when I arrived at school all hot and sweaty. I guess our definition of “room temperature” differs. Nevertheless, it feels like a huge waste of electricity, especially when they are sitting there in their suits and long sleeve dresses. Just open the window already and wear a T-shirt. Knowing that they always strive for perfection, the Japanese still baffle me with their incredibly ridiculous translation skills. It feels like no effort at all was made to check some English words or grammar before putting their message on a sign board. Google translate could have done a far better job. Luckily, these things never fail to amuse us foreigners. 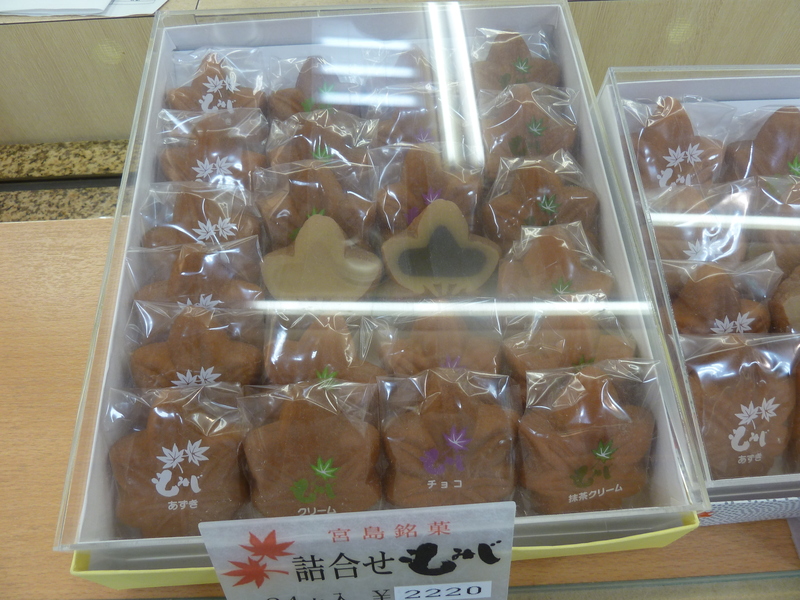 Omiyage (souvenirs, mainly food typical for the city you visited), are things I love to receive but always forget to return. If I go somewhere, I do not want to spend a whole afternoon and half of my budget on nicely packaged cookies I am obliged to hand out to everyone I ever received souvenirs from. Most of the time I simply forget to buy them. On the bright side, I am always forgiven (advantage of being a foreigner). More pros and cons worth mentioning: fashion sense, too much wrapping, structure and punctuality, conformism, shrines and temples, humid climate, feeling safe at night, traditions in general, limited living space, architecture, beer (as in: not so good as Belgian beer), free tissues, natural disasters (taifuns, earthquakes), hard-working, overwork, worldwide known pop culture… and so on!